In an exclusive, wide-ranging interview during the congressional holiday recess, Rep. Dana Rohrabacher, a 13-term member of the House of Representatives, discussed local and global topics including terrorism, immigration, San Onofre, the FAA, his favorite surfing sports and other topics. 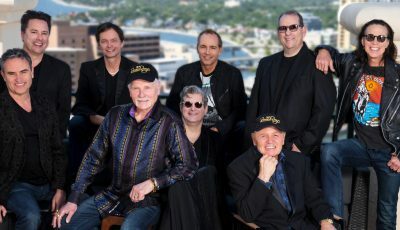 The conservative 68-year-old is from Huntington Beach; his coastal district spans Seal Beach to Laguna Niguel. The recent horrific attacks by terrorists on innocent civilians in San Bernardino incited national outrage. Rohrabacher dismissed the suggestion that the murders were due to a lack of gun control, noting that the killers possessed bombs, which they could have used to massacre considerably more people. On the larger issue of gun control, the congressman sees the central tenet as one of deterrence. He advocates for issuing more permits for firearms to responsible individuals who can handle a weapon. 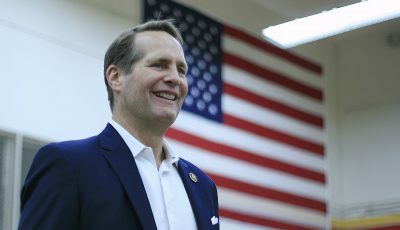 “I keep getting questions and messages asking how many people are killed in your district from guns every year, and I say I don’t know the exact number, but it sure would have been a lot more if the honest people were disarmed,” he said. Islamic extremists are the common element behind the attacks in San Bernardino and other terrorist attacks, such as the slaughter of 140 civilians in Paris in November, Rohrabacher pointed out. Rohrabacher, who sits on the House Committee of Foreign Affairs, believes that terrorist groups such as the Islamic State can be traced to the failure of leadership and policies of the Obama administration. 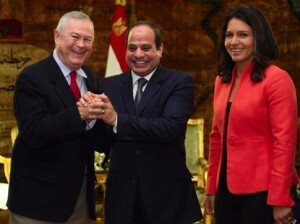 Rep. Dana Rohrabacher and Rep. Tulsi Gabbard, D-Hawaii, right, in November meet with Egypt’s President al-Sisi in Cairo to strengthen an alliance against Islamic terrorists. Rohrabacher cites Obama’s support of Egypt’s former President Mohamed Morsi, who was allied with the Muslim Brotherhood but removed from office in 2013, as an example of failed leadership. The congressman jumps on the topic of illegal immigration as first and foremost an issue of national security. Rohrabacher wants to strengthen border security significantly, but also bolster immigration and migration by screening people seeking entry. He returned to the perpetrators of the San Bernardino attack, noting that Tashfeen Malik was granted entry to wed U.S.-born Syed Rizwan Farook, but that there undoubtedly was insufficient background checking of Malik. The congressman cited the sentiment that emerged from a recent meeting with senior intelligence officials in Washington D.C. that background checks on individuals entering the country cannot be accurate. Acknowledging that the tactic is effective only 80-90 percent of the time, Rohrabacher says that the process would be far more effective than doing nothing at all. Rohrabacher is a co-sponsor of a bill with Kalvert that would implement this procedure. Rohrabacher also is the author of a bill which would prioritize the processing of migrant Christians and Yazidis that are targets of genocide and fleeing their homeland. “We have been bringing in thousands of people and under 500 of them are Christians. It’s horrible,” he said. Asked about welcoming Syrian refugees to the U.S., Rohrabacher thinks unless they are Christians, they should be provided sanctuary in Turkey, Tunisia or Saudi Arabia where they can stay until they can return home. Rohrabacher does not support mass deportation of illegal immigrants already residing in the U.S. as a logical remedy. Rohrabacher wants a robust E-Verify system to ensure that only American citizens receive government benefits, and that employers are not gaming the system to hire cheaper labor. Instead of storage options for radioactive nuclear waste either at a local or national repository, Rohrabacher contends technology holds the solution. Rohrabacher is already working with countries such as Ukraine, which spends $250 million per year on waste storage, on ideas to develop this technology. Rohrabacher is aware of noise complaints about commercial aircraft flying over beach cities, including Laguna Beach and Newport Beach. 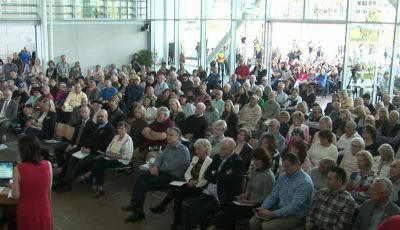 Residents contend flights are deviating from their FAA flight plans, which call for the aircraft to track over the least inhabited areas after takeoff before changing course toward their destination. Rohrabacher indicates he has had several meetings with FAA officials. 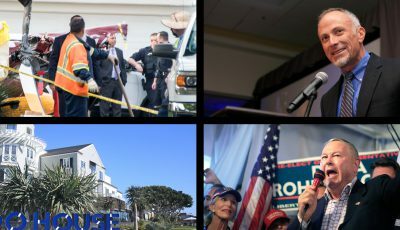 Up for re-election again in 2016, Rohrabacher raised $449,210 as of Sept. 30, and had spent $236,912, according to opensecrets.org, a website that tracks campaign spending. His top five contributors are Clos De La Tech, a Santa Cruz vineyard; Signal Hill Petroleum, a well-drilling contractor; Philatron Wire & Cable, a Santa Fe Springs wire maker; Callahan & Blaine, a Santa Ana law firm; and Aeros Aeronautical Systems, a Montebello defense contractor. The congressman won 64.1 percent of the vote in 2014, an off-year election, and 61 percent of the vote in 2012 when Obama was re-elected. Rohrabacher takes pride in his efforts to turn the medical marijuana issue into a state’s rights issue. On other fronts, the congressman led the fight against patent reform that he indicated would be destructive to the small inventor. “In reality this makes it harder for small inventors to protect their patents and easier for big corporations to steal them,” he said. As for the 2016 election, the 48th District congressman is endorsing Ted Cruz as the nominee of the Republican Party. “He is a brilliant guy who does not have to be obnoxious to get attention,” he said. Aa a longtime surfer, what is Rohrabacher’s current favorite surf spot? We need progress, not fear mongering and pandering to deep pockets. Use your vote wisely, people. But use it.